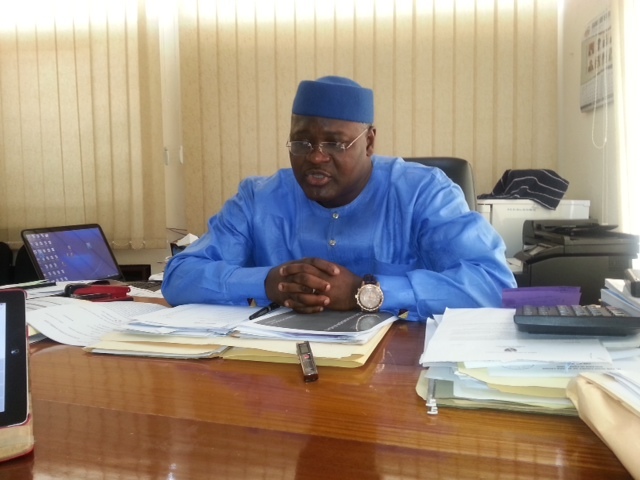 HomeNews in PerspectiveSierra Leone Chief Justice refuses to quit – another signed order from above? There is an old proverb: ‘wherever there is smoke, there is a fire’. 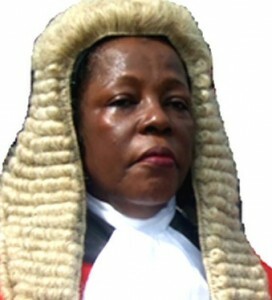 And as questions continue to be asked as to why the Chief Justice of Sierra Leone is determined to stay in office, despite attaining the retirement age of 65 years in April 2014 and the allowable grace period of three months, there is growing suspicion of a secret deal between president Koroma and Chief Justice Umu Jalloh (Photo), granting her permission to stay in office until ‘it pleases the president’. Critics say that it is this secretive and unconstitutional order from above that has emboldened the Chief Justice to refuse to quit office, despite attaining the retirement age of 65. But has president Koroma got the right to extend the term of office of the Chief Justice beyond her retirement age, contrary to the country’s Constitution; or is this another example of the president having, over the past seven years, arrogated immense powers to himself to which he is not entitled? 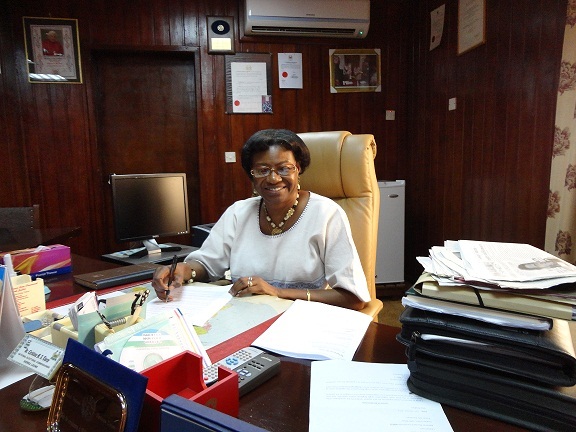 The refusal of Chief Justice Umu Jalloh to quit office, has angered civil rights groups and sections of the media, who are now not only ridiculing the Chief Justice, but calling for her to follow the footsteps of the country’s Chief Electoral Commissioner – Christina Thorpe (Photo), who resigned gracefully early this year, once attaining the legal retirement age of 65 years. The country’s Bar Association is planning to hold talks with the Chief Justice, with the hope of getting her to see the errors of her ways, before she is forced out through the courts if necessary. But Political Analysts believe that with president Koroma hoping to unlawfully hang on to power beyond the constitutionally mandated two terms in office – using the Ebola state of emergency as a pretext, he would need the backing of a pliable (many say – bought) Chief Justice to sanction such a move. Chief Justice Umu Jalloh, Analysts say, is the president’s safest pair of hands to help achieving his presidential ambition. On the 10th October, 2014, the country’s Anti-Corruption Commissioner – Joseph Kamara, wrote a letter to the Attorney General, seeking clarification on the legal basis for the Chief Justice’s continuing stay in office beyond the retirement age of 65 years. But in his reply to the ACC Chief, Attorney General Frank kargbo said that unlike other Judges in the country, there is nothing within the Constitution which states that the Chief Justice can be removed after attaining a certain age. In his submission in an attempt to dispute the legal basis of the calls for the Chief Justice’s resignation, the Attorney General referred to Section 137 – Subsections (5), (7), (8), (9) and (10) of the 1991 Constitution. The Attorney General (Photo) argued that Section 137 (3) also states that; “Subject to the provisions of this section, a Judge of the Superior Court of the Judicature may be removed from office only from inability to perform the functions of his office, whether arising from infirmity of body or mind or for statement misconduct, and shall not be so removed save in accordance with the provisions of this section”. “It follows therefore that whatever the views or opinion of individuals on the provisions of the constitution, until adjudicated upon by the Supreme Court, they are mere opinions and nothing more. You may therefore wish to avail yourself of the option of an interpretation by the Supreme Court,” the Attorney General said in his reply to the ACC Chief. But in his written follow-up submission sent on the 10th November to the Attorney General, the Anti-Corruption Chief Joseph Fitzgerald Kamara, strongly refuted the counter-arguments posed by the Attorney General. The ACC Chief (Photo) argued that the Attorney General is wrong in giving the impression that “the tenure of office of the Chief Justice is for life.” He said that if that was the case, “it could have been expressed in no uncertain terms” in the Constitution. “Its absence is deliberate and a strong message that the term of office of the Chief Justice is limited to a mandatory age limit of 65 years,” as it is with the other Justices of the Supreme Court, the ACC Chief warns. He pointed to the fact that Section 137(2) of the 1991 Constitution includes every judge in the Supreme Court, which is headed by the Chief Justice; and, had it been the intention of the drafters to exclude the Chief Justice, this would have been expressly provided for in Section 137(5) of the Constitution. The ACC Chief said that Section 120 (4) and 121 (1) of the 1991 Constitution clearly stipulates the composition of the Supreme Court, headed by the Chief Justice. Thus by inference, it must necessarily follow that the Chief Justice is also subject to term limit in office, by virtue of retirement age. The ACC Chief advised the Attorney General that, in considering the points of law involved in this matter, the Attorney General must examine all of the constituent provisions in the Constitution. He said that “no one particular provision should destroy the other, but each should sustain the other”. “This is the rule of harmony, of completeness and exhaustiveness,” the erudite ACC Chief told the Attorney General. The ACC Chief strenuously made reference to Section 32(7) which makes provision for the tenure of office of the Chief Electoral Commissioner, who quite rightly retired with her integrity somewhat intact, by retiring immediately upon attaining the age of 65 years. Finally, writing as the custodian and bastion of integrity in public life, the ACC Chief Joseph Kamara, reminded the Attorney General that nothing in his letters to the Attorney General regarding the Chief Justice’s refusal to vacate office, must be construed or interpreted as disrespectful of the Chief Justice. “But rather, the pursuit of integrity in public life and to stave off embarrassment to the administration of justice,” he warns. 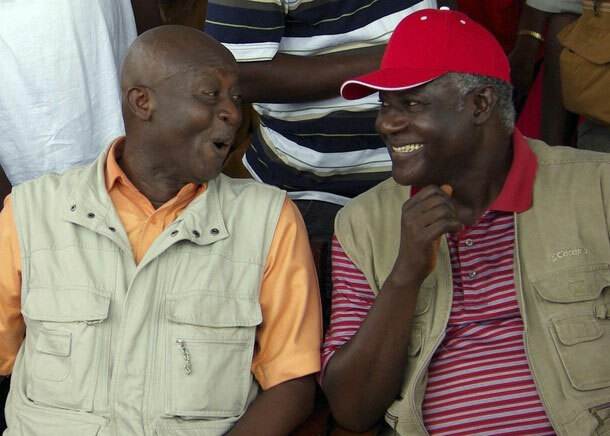 As the legal and constitutional argument continues, and worse – threatening to overshadow the fight against Ebola, one of the country’s top lawyer – Charles Margai (Photo: left – with Koroma), who many believe to be responsible for president Koroma’s success at the polls in 2007, has also joined the fray. He said that the arguments posed by the ACC Chief against the continuation of Chief Justice Umu Jalloh in office, despite attaining the retirement age of 65, is correct and constitutional. 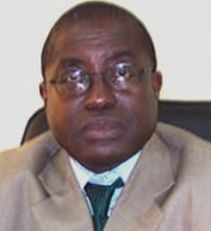 Charles Margai sent a powerful message to Attorney General Frank Kargbo that, his defence of the decision of Chief Justice Umu Tejan Jalloh to stay in office unconstitutionally, is inappropriate and not admissible to the provisions in Act No. 6 of the 1991 Constitution. Margai said that Chief Justice Umu Jalloh is not excluded and has enjoyed the gratuities and immunity enjoyed by all Judges, by virtue of the powers granted in Sections 129 and 138 of the 1991 Constitution. Charles Margai appeals to Chief Justice Umu Jalloh to gracefully respect the country’s Constitution and will of the people, and vacate the office of Chief Justice with immediate effect, so as avoid any embarrassment. Chief Justice Umu Jalloh is regarded by many as one of president Koroma’s cronies and a beneficiary of the corrupt system of governance presided over by the president himself. Charles Margai warns that for her to continue staying in office beyond the term limit, could force the ACC to adduce evidence of her true age, which could lead to criminal charges brought against her for corruption and malfeasance. Other senior lawyers in Sierra Leone have also written about the impasse brought on by the Chief Justice’s refusal to vacate office as stipulated in the country’s Constitution. Both lawyers – Dr. Bu-Bouake Jabbie and Francis Kaifala are in support of the correctness of the position that the Chief Justice must retire, upon the attainment of the retirement age of 65 years. This unwanted and unnecessary distraction from the war against Ebola that has so far killed more than 2,000 in Sierra Leone, must be laid squarely on the doors of the president and the Chief Justice, whom many are now accusing of a doggy deal struck behind closed doors and in contravention of the country’s Constitution. When former Chief of Staff at State House – Richard Conteh was recently arrested and charged to court for criminality involving the signing of dodgy mining and timber exporting contracts, many in Sierra Leone concluded that; “Where there is smoke, there must be a fire”. And yes, it turned out to be true – there was fire. Those illegal and doggy contracts are now alleged to have been signed by the president himself, but with the Chief of Staff willing to be used as the fall guy, pretending to have falsified the president’s signature. Is Chief Justice Umu Jalloh in possession of an agreement signed by president Koroma, sanctioning her unlawful stay in office, beyond the constitutionally mandated retirement age of 65 years?